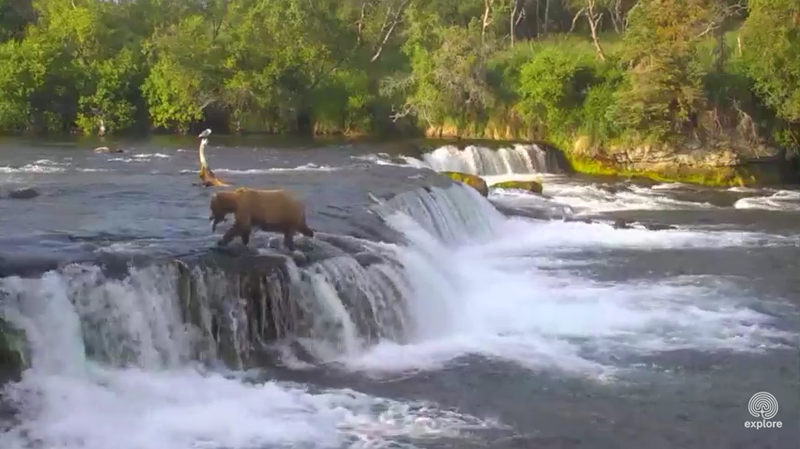 This leads me to wonder how this proximity to humans might affect the food-gathering/fishing habits of the bears here at Brooks falls. 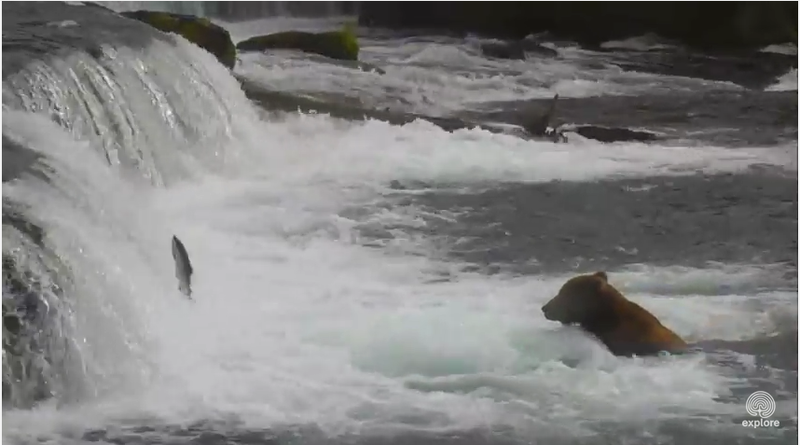 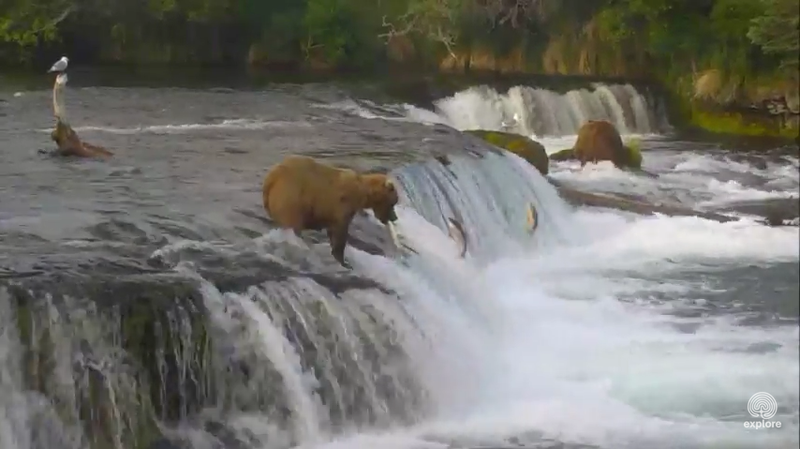 As I’ve wondered in a previous post, it’s possible that bears less comfortable with the human presence might stay in the far pool to fish, or indeed, may not come to these falls to fish at all, but might prefer other, less desirable fishing spots along the river that are less likely to be visited by humans. 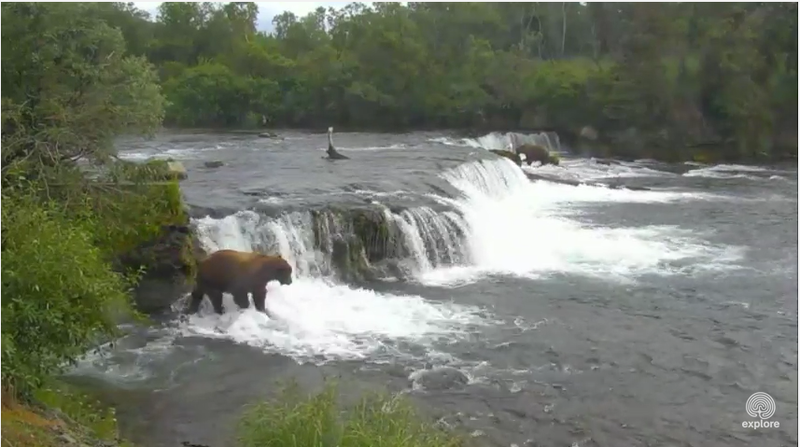 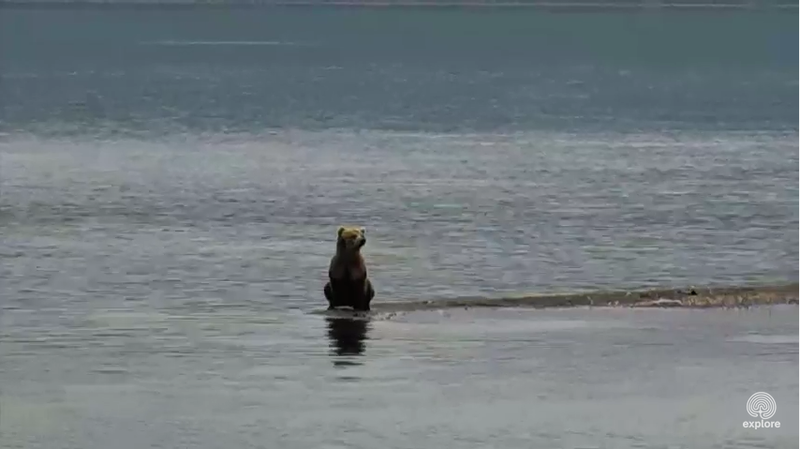 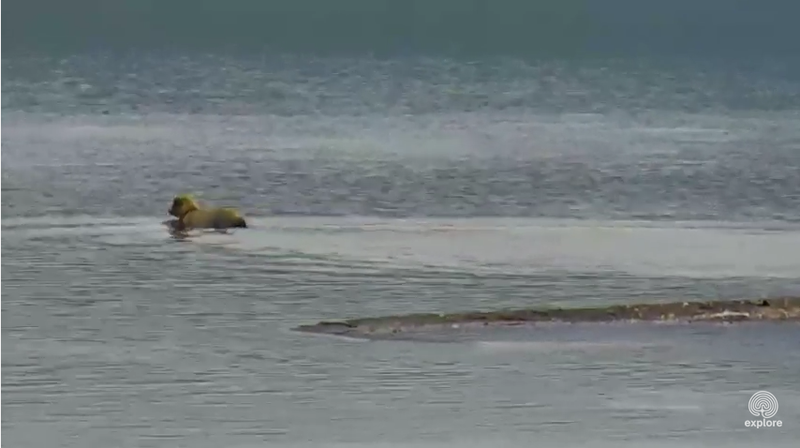 I’ve noticed, when the sound is working on the cameras, that the visiting humans will tend to cheer when a bear catches a fish, similar to spectators watching s sports match. 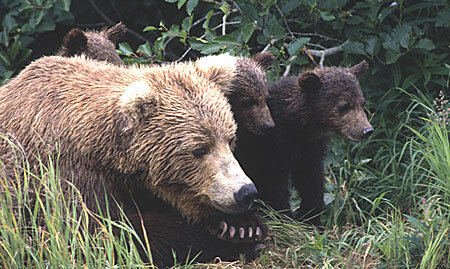 This could be distracting to the bears, or intimidating to them, or affect them in some other way. 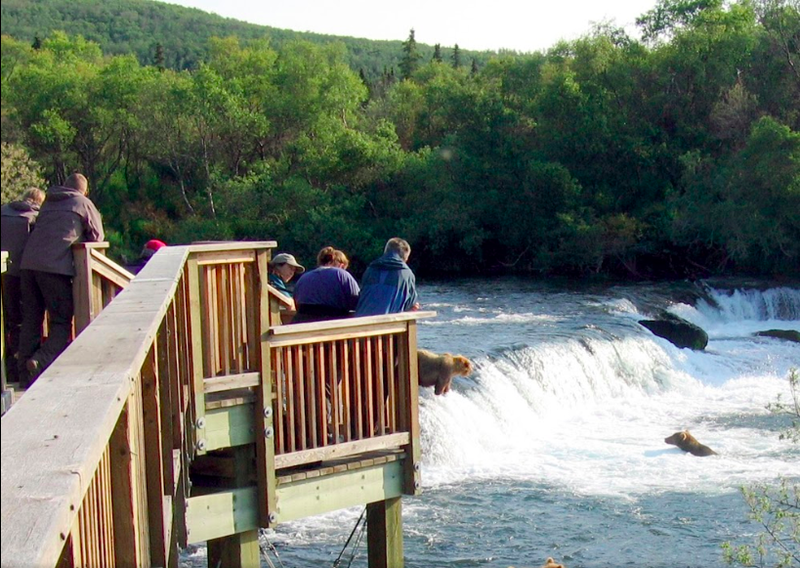 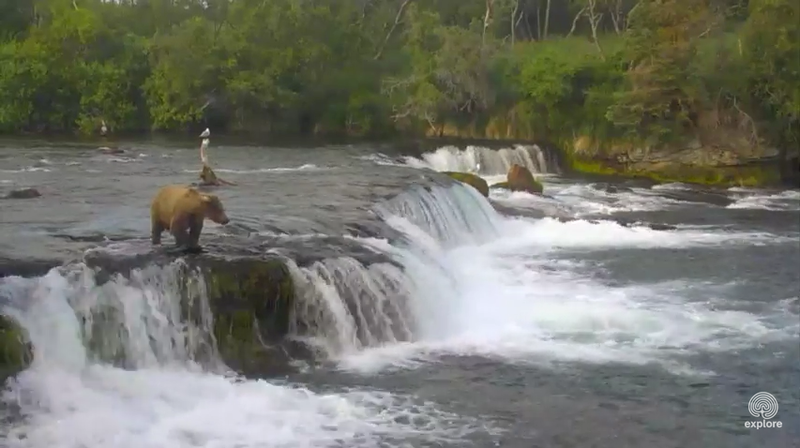 Bears more comfortable with the human presence might be more likely (or more able) to fish at the spots on the falls that are closer to the visitor’s platform, namely at the lip or the jacuzzi spots. 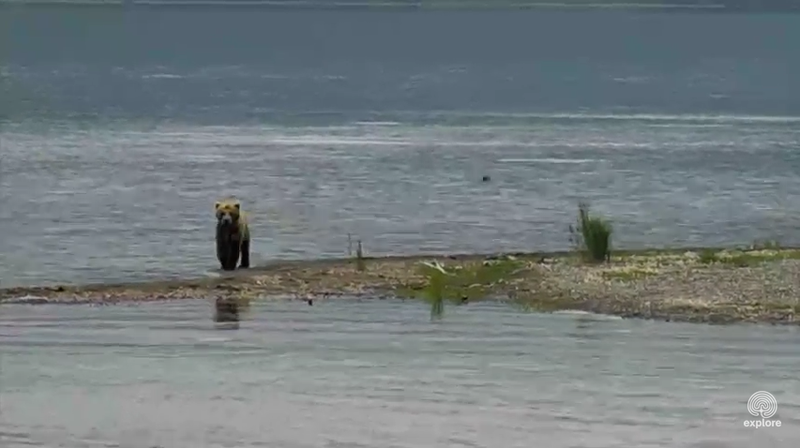 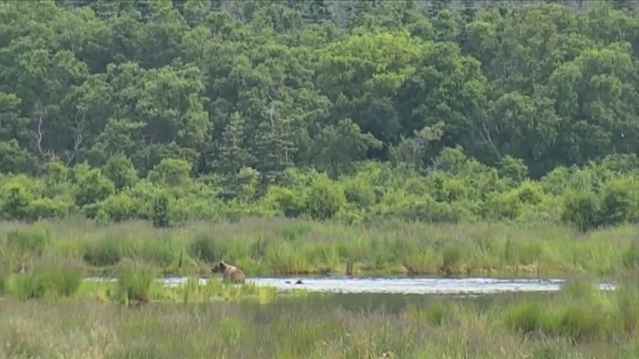 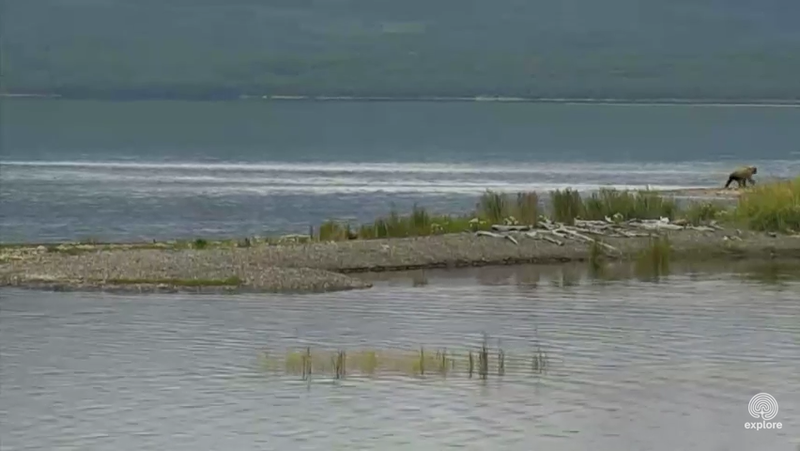 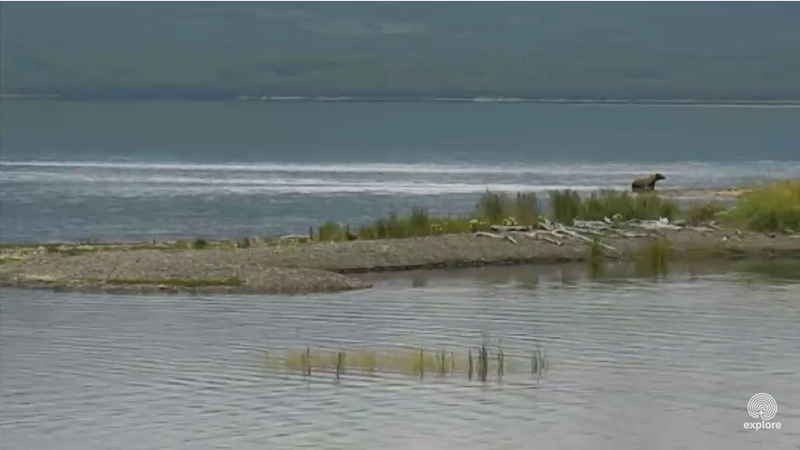 These also seem to be the spots where bears are more likely to catch fish, in my observations. 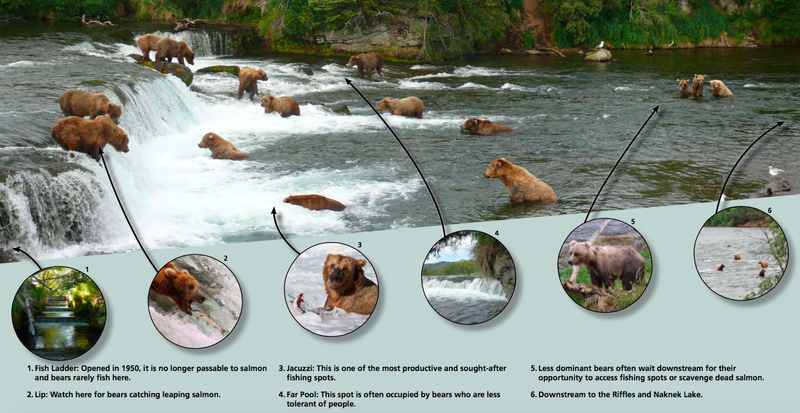 I have seen more bears catch fish (or bears catch more fish) at these locations than bears at the far pool or in the space between the jacuzzi and the far pool.